Ministry of Health raised alarm bells regarding prevalence of malnutrition in Iran’s southern port city of Chabahar. “In the margin of the city and remote rural areas, the situation is worse in terms of nutrition and poverty,” Ezzatian said. “This region and other cities in Sistan and Baluchestan Province have high rates of malnutrition. Therefore, there is a need for more serious attention in this regard,” he added. Many experts believe millions of Iranian children are currently suffering from malnutrition, leading to low weight, low height, improper brain and physical growth, decrease in intelligence, severe decrease in learning capabilities, osteoporosis and the increasing possibility of becoming ill.
“800,000 Iranian children under the age of five are suffering from malnutrition. Estimates show half of these children are not receiving adequate food supplies due to illnesses and low nutrition culture. The other half of these children under the age of five are suffering from malnutrition and low brain growth because of being born to a poor family. Child experts believe malnutrition is the main cause behind children’s brains suffering from poor growth. Malnutrition numbers vary across the country,” according to the state-run Tabnak daily (January 2, 2018). Children suffering from malnutrition in Sistan and Baluchistan province are experiencing thinness and shortage of height. 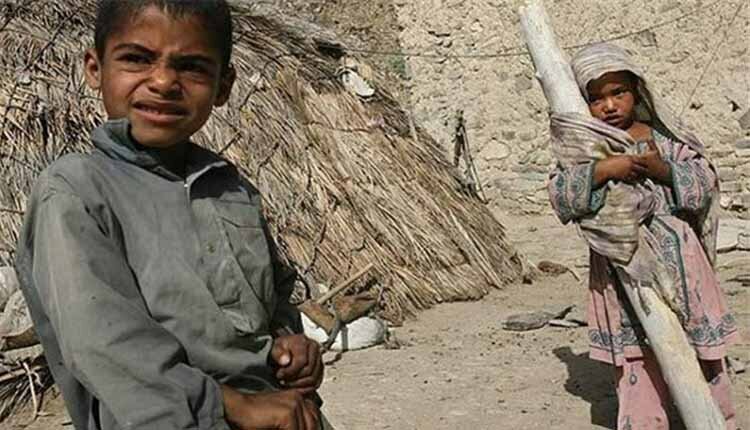 In the Central Zagros region, children are experiencing similar side-effects, however, the situation has worsened to the extent that malnourishment has turned into a norm, according to Salamat News website. “Malnutrition in the Central Zagros area is completely forgotten, due to the fact that poverty has become part of everyday life amongst villagers,” the news outlet stated. Some pupils are suffering from memory loss and cannot remember their own names anymore. And the body and body parts of children suffering from this phenomenon are smaller than what would be considered average for their age. Other regions suffering from malnutrition include the Boyer-Ahmad province and villages near Tehran, including Zarafshan, Bagh-e Fayz, Mian Abad and Mousa Abad, and on the beltway near the city of Islamshahr. Children are seen suffering from various health problems due to this phenomenon. New illnesses mushrooming across the country, especially a significant increase in cancer, low blood levels, and intestinal illnesses are just a few of the crises resulting from malnutrition. Based on statistics published in the regime’s own media outlets, over six million people across Iran are suffering from osteoporosis, which literally means porous bone, is a disease in which the density and quality of bone are reduced. As bones become more porous and fragile, the risk of fracture is greatly increased. The loss of bone occurs silently and progressively. Iran is a country enjoying the second largest natural gas reserves and fourth largest crude oil reserves. However, 50 million Iranians live in poverty, which is one of the main factors behind malnutrition among Iranian children. Iran’s society is now described as a 4% minority living in wealth while the 96% majority are living in poor conditions and even extremely poor conditions. This is while the Iranian regime is backing the Bashar al-Assad regime in Syria with arms, troops and other services. “Despite the warm economic and political relations between the two countries, the value of Iran’s exports of agricultural and food products to Syria does not stand at a satisfactory level,” Zargaran lamented.